SILICON SLOPES, UT--(Marketwired - February 29, 2016) - InsideSales.com, the leading cloud-based sales acceleration technology company, today announced Stephen M.R. Covey as a keynote speaker at InsideSales Accelerate 2016, the sales acceleration event of the year. Covey's trust-centered approach to leadership will help sales and marketing leaders in attendance gain relevant insights to transform sales processes and accelerate growth. The event is scheduled for May 17-19, 2016, at The Grand Summit Hotel in Park City, Utah. Covey is the former CEO of Covey Leadership Center, which, under his stewardship, became the largest leadership development company in the world. He is the co-founder of CoveyLink and the FranklinCovey Global Speed of Trust Practice. Covey is the New York Times and No. 1 Wall Street Journal best-selling author of The Speed of Trust, and personally led the strategy that propelled his father's book, The 7 Habits of Highly Effective People, to become one of the two most influential business books of the 20th century, according to CEO Magazine. InsideSales Accelerate 2016 brings together a vibrant community of sales acceleration evangelists who leverage science to transform sales and accelerate growth. C-level sales and marketing executives and industry thought leaders will share real, replicable practices on leveraging data science to grow top-line revenue and double forecast accuracy. The event features best practices in lead generation, predictive lead and account scoring, prescriptive sales activities, prescriptive opportunity scoring, pipeline management, predictive forecasting and customer success. InsideSales Accelerate 2016 is a must-attend event for anybody interested in generating revenue quickly and efficiently. Learn more about Accelerate 2016 and register here. InsideSales.com offers the industry's leading sales acceleration platform built on Neuralytics, a predictive and prescriptive self-learning engine that drives revenue growth by delivering an optimized experience for both salesperson and buyer. The platform fuels sales rep performance and provides buyer personalization with breakthrough innovations in predictive sales communications, engagement tracking, forecasting and rep motivation. InsideSales.com has received numerous accolades for its technology and has been named as one of the fastest growing companies by Inc. InsideSales.com enterprise customers include ADP, Microsoft and Groupon. 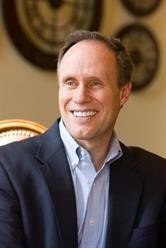 Stephen M. R. Covey is a cofounder of CoveyLink and the FranklinCovey Global Speed of Trust Practice. A sought-after and compelling keynote speaker and advisor on trust, leadership, ethics and high performance, he speaks to audiences around the world.